The City of Melbourne has kicked off the process of building a structure plan for the Lorimer precinct and will begin by holding community information sessions in March. The first event is set to be held within the Library at the Dock on March 11th from 6pm and the second to be held at Geotech Engineering in Port Melbourne on the 19th of March. Lorimer is the sole Fishermans Bend precinct which falls within the City of Melbourne municipal boundary with the other three - Montague, Wirraway and Sandridge - located within the City of Port Phillip. 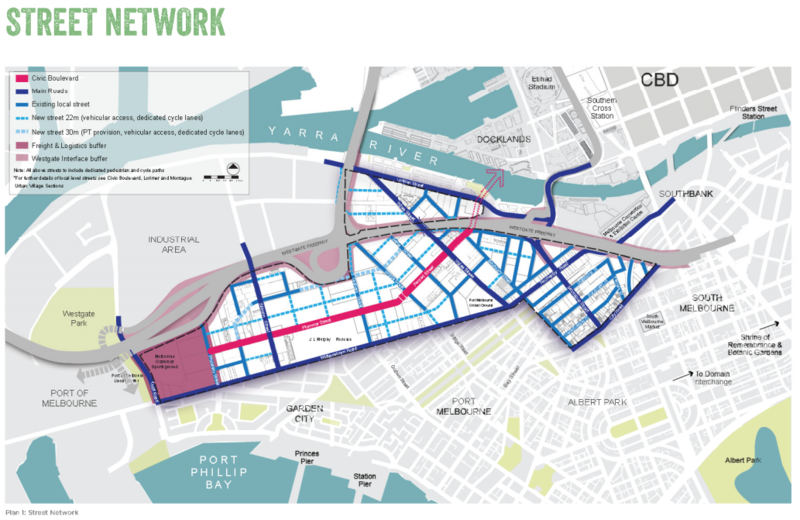 The Participate Melbourne website is carrying the July 2014 Fishermans Bend strategic framework plan released by the previous Victorian Government and likewise a timeline also paints a picture of the process. From early April after the initial community feedback phase ends, a draft structure plan will be developed and presented to the council's Future Melbourne committee by mid 2015. A second round of community engagement is expected to occur thereafter with a review and preparation for the final Lorimer Structure plan to be considered by the Future Melbourne committee in early 2016. To view the supporting documentation, feedback form and other relevant links, see the Participate Melbourne website. 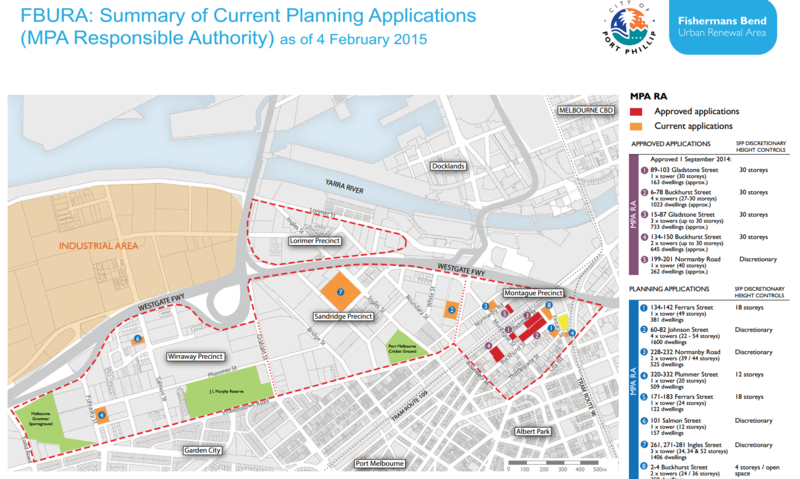 City of Port Phillip's Fishermans Bend Urban Renewal Area website looks to be regularly updating maps of proposals within their municipality. The maps are conveniently broken down by responsible authority: the council itself or the Metropolitan Planning Authority. The site is definitely one for the bookmarks! Lead image credit: Participate Melbourne.